McCracken County High School’s Leadership Development class, led by Amber Clapp, and the Mustang’s Youth Services Center partnered together in a half-day full of volunteering and community service. 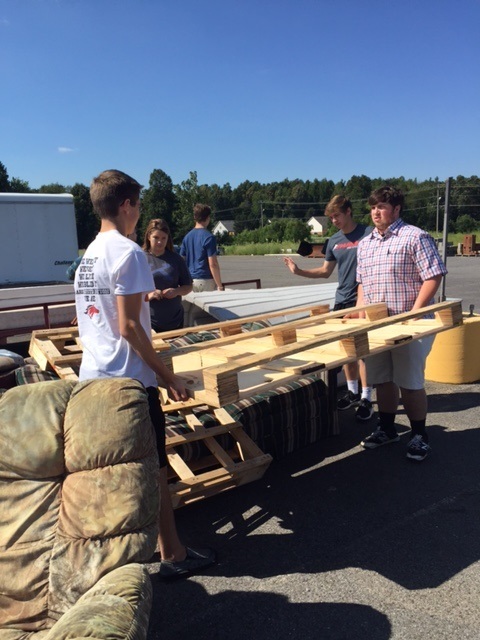 As part of the United Way’s Project United initiative, 25 MCHS students were able to sort, replenish/rack clothing and load/unload furniture at Heartland Worship Center’s A.C.T.S. House. Some of the students also assisted Cassidy’s Cause with painting in the horse stalls. Projects like these would have cost both organizations hundreds of dollars to hire a professional or weeks of their own time to complete the work! We are so proud of our students and their willingness to give back! Over 500 volunteers were able to participate in this community event and 24 organizations helped in Paducah/McCracken County.